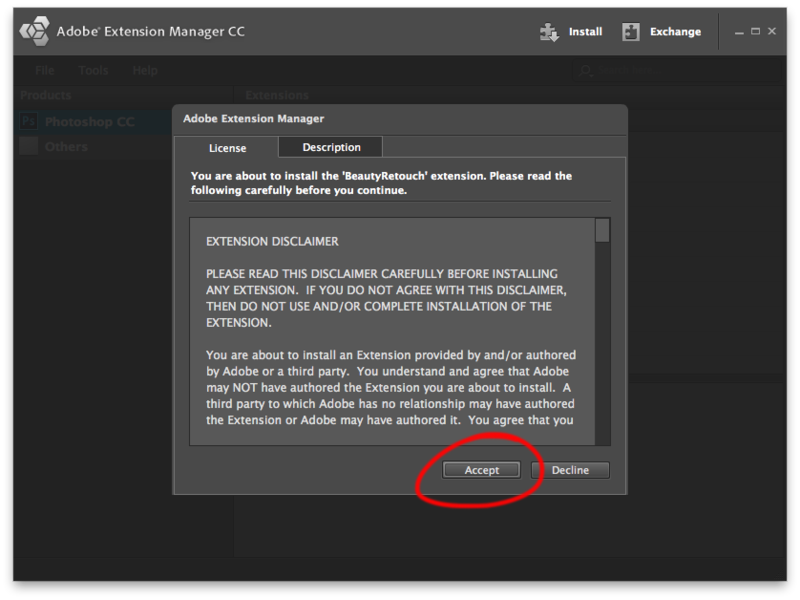 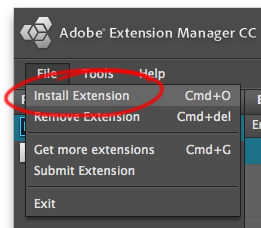 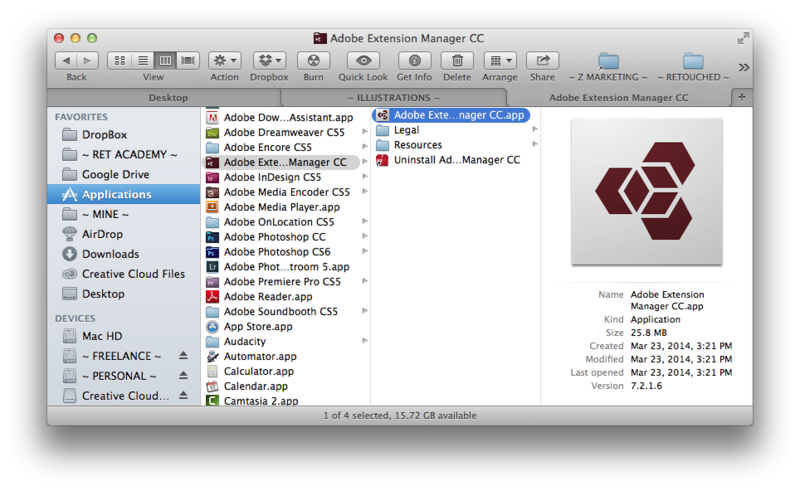 If you are updating your panel, please begin by uninstalling the previous version via the Adobe Extension Manager or manually. 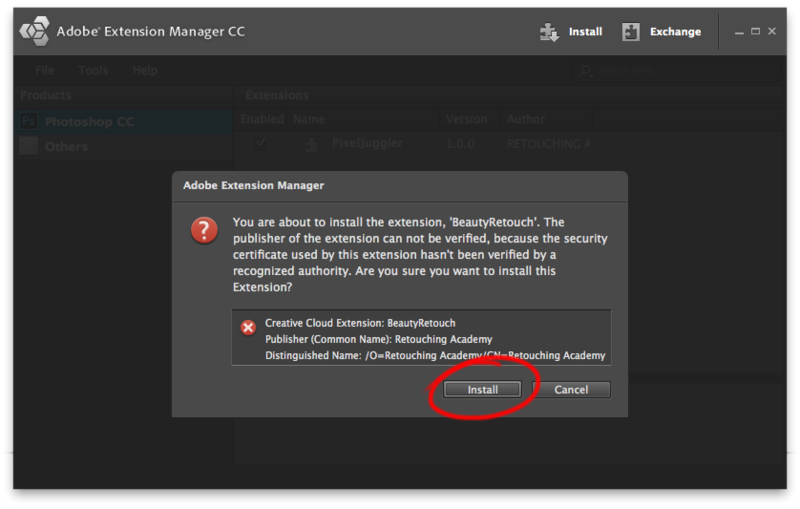 Then download and unzip the installation package ZIP file from your Member Area on the RA Lab website for the version of Photoshop that you use. 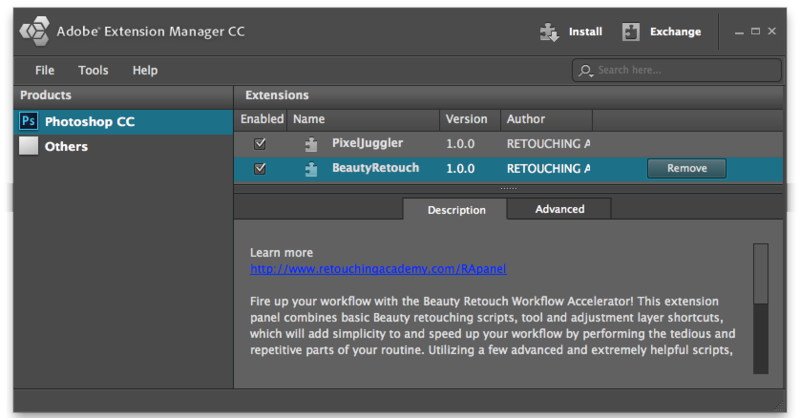 Please note that you will need to download the Beauty Retouch CS6 (Mac & Win) file if you work in Photoshop CS6.